Dr. Arnold is an Assistant Professor in the Department of Medicine at McMaster University in Hamilton, Canada and Program Director for the McMaster Transfusion Medicine Residency Program. Dr. Arnold obtained his MD from McGill University and completed training in Internal Medicine at the Jewish General Hospital in Montreal. He then completed Hematology training at McMaster in 2003 and a Fellowship in Transfusion Medicine supported by the Canadian Blood Services and the Canadian Institutes for Health Research (CIHR). He holds a Master's degree in Health Research Methodology from McMaster and is the recipient of a CIHR New Investigator Award. Dr. Arnold is a translational researcher with a focus on immune thrombocytopenia (ITP). He is the lead investigator on several clinical trials in ITP and has developed a program of research that spans clinical studies designed to better understand patient preferences with respect to ITP treatments to basic research on the mechanisms of ITP. Dr. James Bussel is Professor of Pediatrics, Medicine, and Obstetrics at the Weill Medical College of Cornell University in New York City. His training was initiated at Yale, continued at Columbia College of Physicians and Surgeons, then he completed a Pediatric Residency at Cincinnati Children's Hospital, and a Fellowship in Pediatric Hematology/Oncology at the combined Cornell/Memorial Sloan Kettering program. 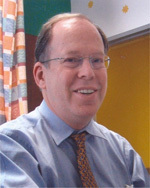 The great majority of Dr. Bussel's publications are centered around diagnosis and especially management of patients with ITP, including children with ITP, adults with ITP, pregnant women with ITP, HIV infected patients with thrombocytopenia, and fetuses affected by autoimmune and alloimmune thrombocytopenia. He has worked with IVIg, IV anti-D, rituximab, and most recently the thrombopoietic agents. 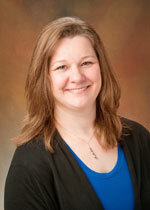 Dr. Bussel also serves on the PDSA Board of Medical Advisors. Douglas Cines, MD is a professor of Pathology and Laboratory Medicine and Medicine at the University of Pennsylvania-Perelman School of Medicine. He received his MD from New York University School of Medicine, his training in internal medicine at the University of North Carolina-Chapel Hill and in hematology-oncology at the University of Pennsylvania where he been on the faculty since 1979 and where he has been medical director of the Special Coagulation Laboratory for the PENN Health System for 25 years. He also directs an NIH funded research laboratory investigating immune platelet disorders among other topics. He has been a member of the international working group and international and ASH guidelines committees on ITP and is a member of the PDSA Board of Medical Advisors. Nichola Cooper is a Senior Lecturer and Honorary Consultant Haematologist and at Hammersmith Hospital, Imperial College, London, UK. She completed her undergraduate degrees at Cambridge University and Barts and the London Hospital Medical College, University of London, UK. During her haematology training, Dr Cooper undertook a research fellowship at Cornell Medical School, New York Presbyterian Hospital, USA with Jim Bussel, investigating the clinical and laboratory impact of treatments such as rituximab and anti-D immunoglobulin in patients with ITP. She also studied at Great Ormond Street Hospital and the Royal Free Hospital, London, where she gained further experience in both paediatric and adult immunodeficiency disorders. Dr. Cooper runs a clinical and laboratory research programme investigating the causes of haematological autoimmunity. She has authored many papers published in international, peer-reviewed journals including Nature Immunology, Blood and the British Journal of Haematology. Dr. Terry Gernsheimer is Professor of Medicine at the University of Washington School of Medicine, Medical Director of the Platelet Antibody Laboratory at the Puget Sound Blood Center, and Director of Transfusion Services for the University of Washington Medical Center and the Seattle Cancer Care Alliance. Dr. Gernsheimer's research focuses on the pathophysiology and treatment of immune platelet disorders and pathologic immune responses associated with transfusion. She has clinical research interest in transfusion management of the hematopoietic stem cell transplant patient and surgical bleeding in patients undergoing solid organ transplant and cardiovascular procedures. She has made significant contributions toward understanding the pathophysiology and management of auto-immune thrombocytopenic purpura (ITP). Dr. Gernsheimer serves on the PDSA Board of Medical Advisors. Dr. Andra James is a Consulting Professor of Obstetrics & Gynecology in the Division of Maternal-Fetal Medicine at the Duke University Medical Center in Durham, NC, where she is also Co-Director of the Comprehensive Hemostasis and Thrombosis Center. Dr. James graduated from the University of Virginia School of Medicine, trained in Obstetrics and Gynecology at the University of North Carolina, and completed her Fellowship in Maternal-Fetal Medicine at Duke. Her practice, research, and advocacy pertain to reproductive issues among women with hematologic disorders. Dr. James participates or has participated in a number of organizations that serve patients with blood disorders and is currently President of the Foundation for Women and Girls with Blood Disorders. Dr. James also serves on the PDSA Board of Medical Advisors. 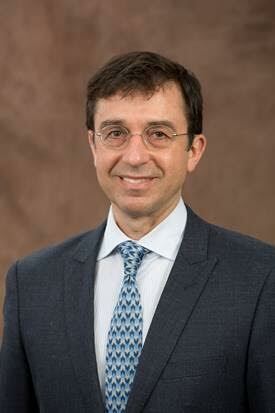 Dr. Craig Kessler is professor of Medicine and Pathology and Section Chief of Hematology. He is also Director of the Coagulation Laboratory at Georgetown. A graduate of Tulane School of Medicine, Dr. Kessler received his specialty training in hematology and oncology at The Johns Hopkins Hospital. 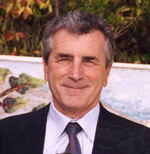 An international expert in the area of disorders of coagulation, Dr. Kessler has a particular interest in hemophilia. He also has expertise in the treatment of hematologic malignancies. 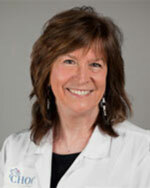 Dr. Kessler also serves on the PDSA Board of Medical Advisors. Dr. David Kuter is Chief of Hematology, Massachusetts General Hospital, Boston, Massachusetts. He earned a research doctorate (DPhil) at Magdalen College of Oxford University and a medical degree at Harvard Medical School. Dr. Kuter is Professor of Medicine at Harvard Medical School and Chief of Hematology at the Massachusetts General Hospital. In addition, Dr. Kuter sits on numerous national and international ITP committees and is board certified in Internal Medicine, Hematology, and Medical Oncology. He has dedicated years of effort to researching coagulopathies, anticoagulation, and platelet disorders. In recent years, Dr. Kuter has conducted groundbreaking research into the development of effective thrombopoietic agents. Dr. Kuter also serves on the PDSA Board of Medical Advisors. Dr. Lambert is an Assistant Professor of Clinical Pediatrics at the Children’s Hospital of Philadelphia and Medical Director of the Special Coagulation Laboratory at CHOP. She graduated from UMDNJ-New Jersey Medical School (now Rutgers) and completed her pediatric residency at St. Christopher’s Hospital for Children followed by a year as Chief Resident. She then moved the Children’s Hospital of Philadelphia were she completed her fellowship in pediatric hematology/oncology. She received her Masters in Translational Medicine in 2001. Her research efforts have focused on understanding the control of platelet production by megakaryocytes (the cells that make platelets) and the ways in which genetics influence platelet function and number in various clinical scenarios including ITP and inherited platelet disorders. Dr. Lambert serves on the PDSA Board of Medical Advisors. Dr. Howard Liebman is Professor of Medicine and Pathology at the University of Southern California (USC) Keck School of Medicine, Los Angeles, CA. He serves as Medical Director of the Special Hemostasis Laboratory at the USC NorrisComprehensiveCancerCenter and is Director of the fellowship program in hematology. Dr. Liebman received his medical degree from USC and completed his postgraduate training including a residency in internal medicine and fellowships in medical oncology and hematology at Los AngelesCounty - University of Southern California Medical Center. Dr. Liebman completed a research fellowship at TuftsUniversity - New EnglandMedicalCenter, Boston, MA, and held faculty positions at TuftsUniversity and BostonUniversity, before returning to USC. Dr. Liebman's research interests include clinical management and characterization of haemostatic and thrombotic disorders, management of autoimmune blood disorders, and clinical therapy of HIV and AIDS. He has authored or co-authored 85 peer-reviewed publications and 26 reviews and chapters. 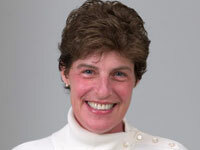 Dr. Liebman also serves on the PDSA Board of Medical Advisors. 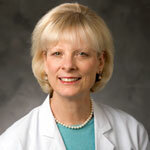 Dr. Diane Nugent is a Clinical Professor, Department of Pediatrics, University of California, Irvine School of Medicine. She currently serves as Chair, Hematology, CHOC Children's Hospital of North Orange County, Orange, CA; Medical Director, Hematology and Blood and Donor Services CHOC Children's; and Division Chief, Hematology, CHOC Children's Specialists. Dr. Nugent is a nationally-recognized expert in pediatric hematology who specializes in blood disorders, bone marrow failure, bleeding and clotting disorders, anemias, and immune deficiencies. She is involved in clinical trials for rare blood disorders and is a principal investigator for regional hemophilia programs. 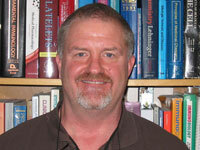 Dr. Nugent has coauthored more than 100 journal articles and book chapters. She chairs review subcommittees at the National Heart Lung and Blood Institute (NHLB) at NIH in hematology. 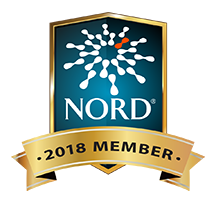 Dr. Nugent also participates in the Pediatric ITP Consortium of North America (ICON), a group of pediatric hematologists dedicated to improving the understanding, treatment, and quality of life (QOL) of pediatric ITP patients. Dr. John Semple received his PhD in Immunology from Queen's University in 1986 and trained as a Post-Doctoral Fellow in the Banting and Best Department of Medical Research of the C.H. Best Institute, University of Toronto from 1986-1990. He joined St. Michael’s Hospital in 1990 and was a Senior Staff Scientist and Head of the Toronto Platelet Immunobiology Group at the Keenan Research Centre for Biomedical Sciences. He was also a Professor in the Departments of Pharmacology, Medicine and Laboratory Medicine and Pathobiology at the University of Toronto and an Adjunct Scientist with Canadian Blood Services. He joined Lund University in 2016 as a Professor of Transfusion Medicine of St. Michael’s Hospital. 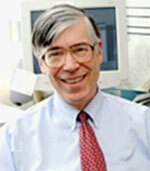 Dr. Semple has published over 120 papers on platelet immunology. 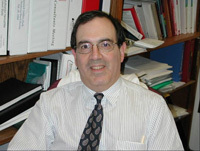 His research activities include several areas including anti-platelet T cell responses in patients with acute and chronic ITP, the analysis of how platelet antigens are recognized by the immune system, and how platelets may act as immune-like cells that are responsible for initiating and perpetuating their own autoimmune demise. Dr. Semple also serves on the PDSA Board of Medical Advisors. Dr. Michael Tarantino is a Professor of Pediatrics and Medicine at the University of Illinois College of Medicine-Peoria and Medical Director of the Bleeding & Clotting Disorders Institute. He received a doctoral degree in medicine from the University of Wisconsin School of Medicine in 1987. He completed an internship and residency at the University of Arizona Health Sciences Center and a Fellowship in Pediatric Hematology/Oncology at the University of Wisconsin School of Medicine. Dr. Tarantino first became interested in ITP during his residency in 1988. Since that time he has designed and/or participated in numerous clinical investigations related to ITP and other platelet disorders. He has authored numerous publications relevant to the diagnosis and management of ITP, especially as it occurs in children. He is also active in hemophilia and other bleeding disorders research, and founded The Bleeding and Clotting Disorders Institute in 2010. Dr. Tarantino serves on the PDSA Board of Medical Advisors.